This is a simple, no-fuss choice for those with wooden floors and minimal carpet. You don’t always need to splash out on the latest models with all the new tricks and features, sometimes the simplest option is the best one. 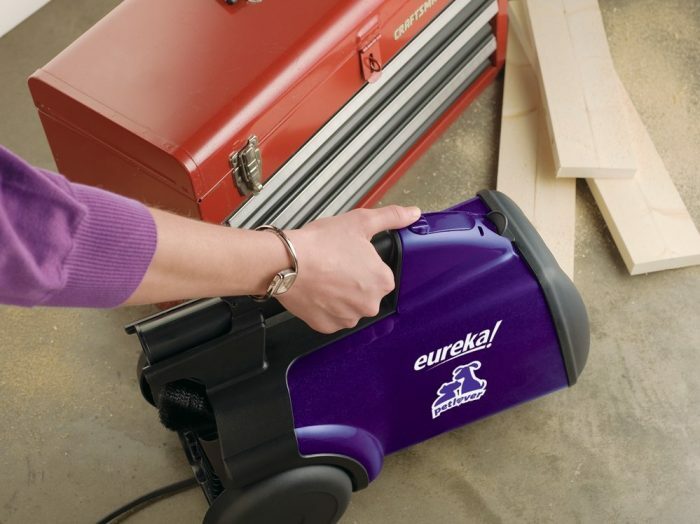 Eureka was founded in 1909, so they know a thing or two about vacuums, and how needs have changed over the last century. The Eureka Mighty Mite Pet Lover (3684F) is the 4th Mighty Mite model, and the only one designed with pets in mind. So, it’s not a glamorous model by any means…but it does look tidy and compact. It has a small, round outer canister in purple, with an extendable hose, power cord, and wand in black. There are no futuristic aesthetics to be seen, but isn’t it nice to return to the good old days sometimes? I like the way this vacuum is so light-weight and small enough to store in tight closets. 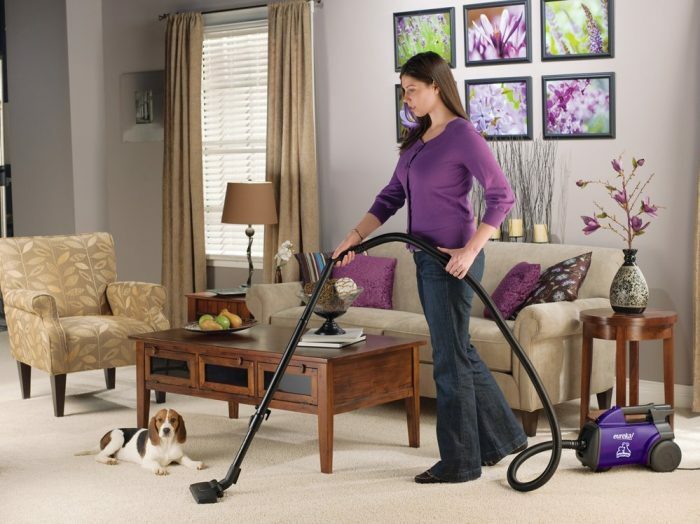 The canister volume might be a little small for me, but then again, if you have a tiny condo or apartment, why would you want a haul around a huge vacuum? This is a good old-fashioned dust bag model, with a stated power rating of 12 amps – or 1400 watts. The power rating is ideal for all power outlets, so there’s nothing to worry about in terms of your power source compatibility. 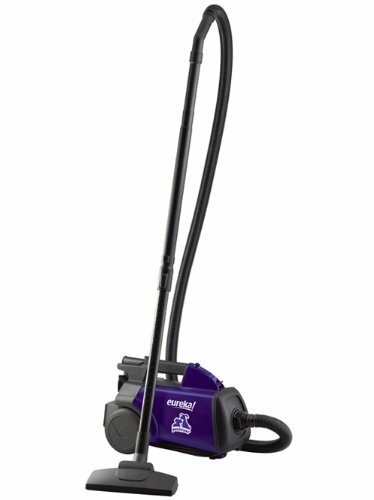 1400 watts is standard for high-suction canister cleaners, so you won’t have an issue sucking up all that lovely pet hair! While some may be put off by the dust-bag technology as they imagine dust and dirt flying everywhere, but there’s no need. This model includes a Fresh Home HEPA Filter, as well as a very high filtration dust bag. The Eureka site states that the HEPA Filter “traps 99.97% of all airborne pollutants 0.3 micron or larger for a cleaner home”. This is a great feature, as with pets in the house, the number of nasties in the air does increase. Another neat feature of this model is the Blower Port function. Basically, this means that you can switch the model to “blower mode” and use it to clear dust and bits from spaces such as garages, or even blow leaves away from your doorstep. A bit of multi-tasking goes a long way. But…the pet hair. That’s the real issue here, isn’t it? 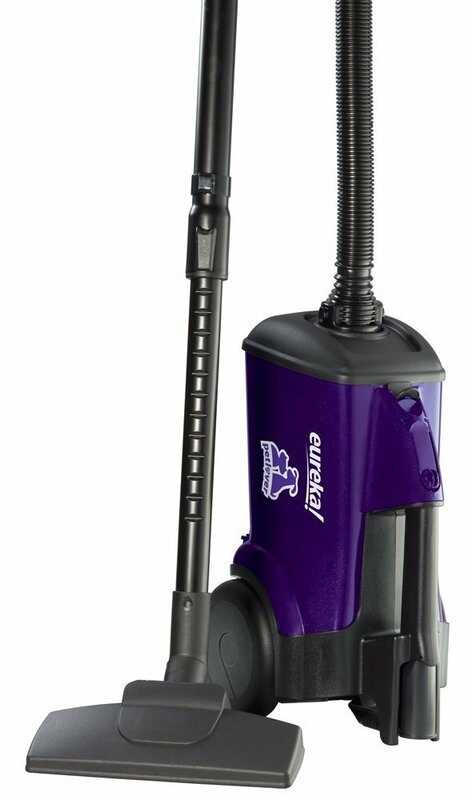 This model includes Eureka’s trademarked Pet Pal cleaning tool, the “PET Power Paw”. This comprises of a detachable dusting brush for upholstery, and a tool for small crevices. You know when pet hair gets bunched up in the corners and cracks of the couch? That’s what these features are designed to take care of. You can get into window sills, around skirting boards corners, and into narrow stair crevices too. One of the standout features of this model is the fact that it is lightweight. So many people have posted reviews where the main “pro” is the lightweight body and easy maneuverability. For a lot of people, weight is paramount. 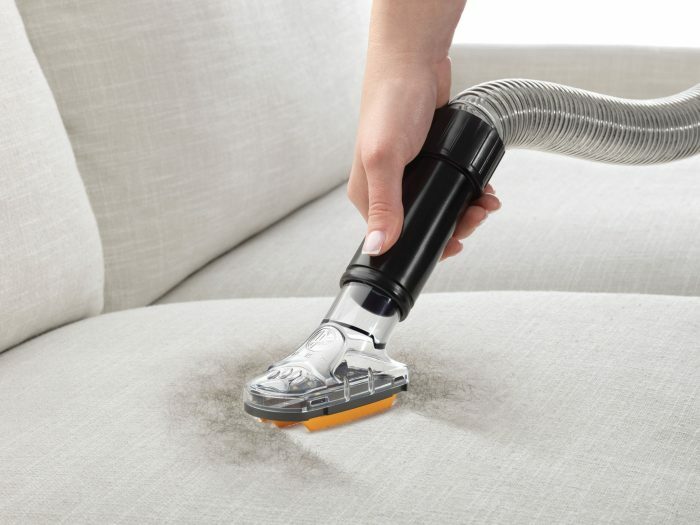 Health issues, injuries, and general efficiency can really be impacted by a heavyweight machine, it can make vacuuming far more bothersome than it should be. So, if you want to zip around the apartment and get a thorough clean done, without tearing a muscle, then this could be a good choice for you. The power cord is 20ft, which is disappointingly short and will mean regularly unplugging the cleaner as you move around the house. However, if you have a small house or apartment, you don’t need an excessively long cord, and 20ft will more than suffice. Because the machine is so lightweight and reasonably small (11.3 x 17.5in), it is easy to carry around for tricky jobs such as cleaning stairs, getting into closets, and behind furniture. It does have wheels, of course, for general floors. But if you want to pick it up to really move around and get the job done, it’s light enough to do so. 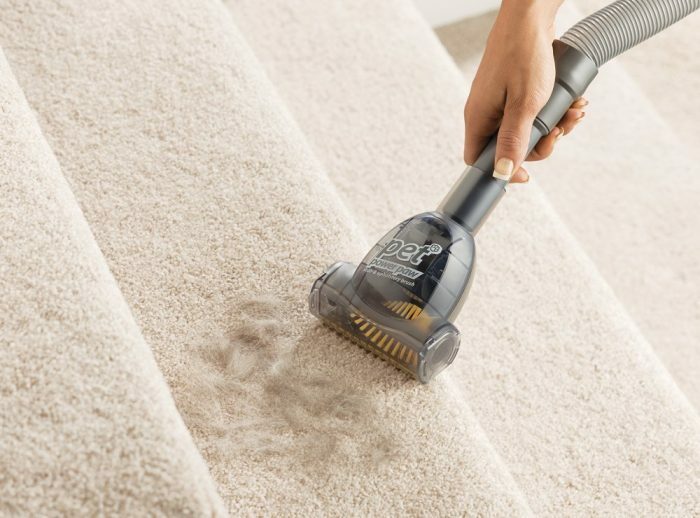 An added bonus for occasionally clumsy cleaners like me is that those times when you’re rushing and accidentally bash your vacuum off the wall (we’ve all been there J) it is not going to cause much, if any, damage! The Eureka Might Mite Pet Lover has resolved this issue but storing the attachments on the top of the canister itself. 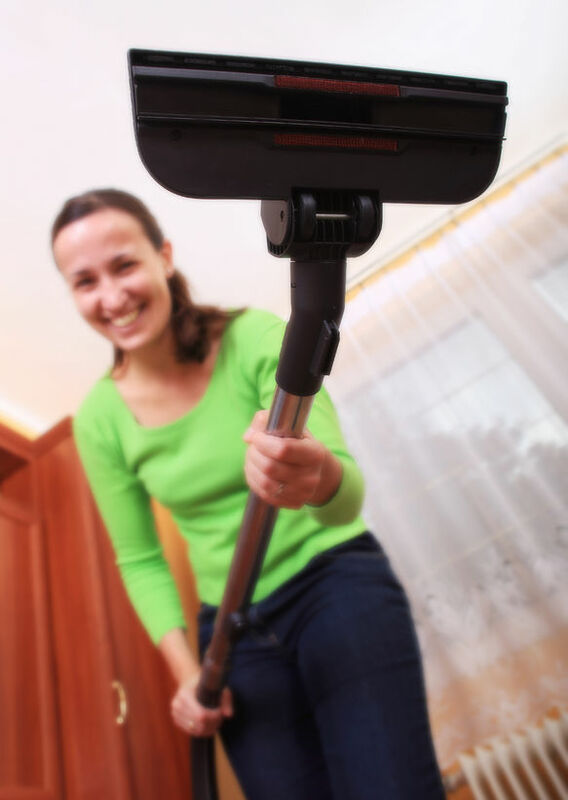 I like having tools onboard, because it means that if you find you need a quick once-over of a chair or couch while you are cleaning the floors, you can quickly attach the appropriate tool, then put it back again, without running around the whole house searching for that missing tool. In terms of storage, it gets a high score. There is a hook at the back of the canister to wind the cord around, so it stays out of the way and untangled. The small size of the canister helps with tidy storage, I would just recommend allocating a closet-corner for this so you can tuck the hose and wand against the wall, secured by the canister. The dust bag has a dirt capacity of 0.65 gallons. This is smaller than most bagged canisters, although still larger than many uprights. It’s plenty big enough for a small home or apartment. However, for larger homes with lots of carpet or upholstery to clean, you might find yourself having to change the bag more often than you’d like. This model is known for being suitable for hard floors, and less effective on large carpeted areas. When cleaning hardwood floors, you don’t want a large, heavy machine which could potentially cause damage if not used gently. If you have a carpeted home, I would recommend choosing a more suitable model, which we can help you with via our reviews. This is a simple model with minimal tools and additions. However, as the name suggests, this model has special tools designed for tricky pet hair. The Pet Pal cleaning tools include: a PET Power Paw, which functions as a crevice-reaching extension, and a brush for removing more stubborn hair deposits on soft furnishings and upholstery. As previously mentioned, the Blower Port is a pretty great tool as well; especially for any outdoor areas close to the home that need a quick sweep. Filtration is a huge topic in the world of vacuum cleaners, as we know! Homes that have lots of pets (or even just one!) have a higher risk of containing allergens. Therefore, a vacuum with a reliable filter system is key. Thankfully, the Eureka Mighty Mite Pet Lover includes an HEPA filtration system, which is awesome news for those with allergies. Pet dander and other pesky microbes are trapped and kept from contaminating the air you breathe. After all that analyzing, I think it’s safe to say that this model is idea for those with a small home, with primarily wooden/hard floors. Those who have trouble transporting heavier models would find this model ideal, as you can carry it around easily. If you have a large home with a lot of carpet, I would say it’s best to look at a different model with a larger capacity and better carpet-cleaning features. For those looking for an affordable option, this is ideal. I can imagine this model being perfect for students or young couples who don’t want to spend a fortune on a vacuum cleaner yet, but still want to keep their apartment tidy. I’m a great believer in getting value for money. And while that often means spending a bit more to get the best quality product that will last for years. But sometimes the right choice is the simpler, cheaper option that will suit your specific needs now. This is a low cost, no bells or whistles pet hair vacuum. Good value for money and a great choice for anyone with a small home or apartment with mainly hardwood or bare floors.